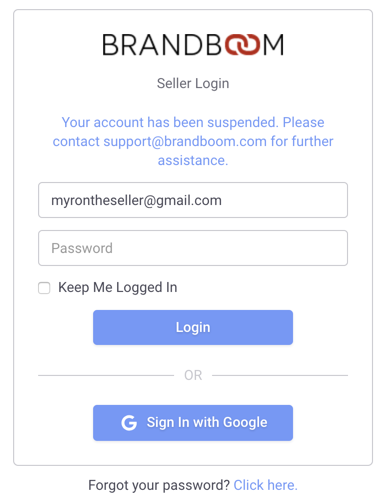 Your login was suspended at the request of another user on Brandboom. Or your Account was suspended due to multiple overdue Subscription invoices. In this case, please contact your Account/Team Owner to request that they restore your login or contact Support to request access with a different Account/Team. Please contact Support for additional information and to regain access.